Would've the other KH characters be "half-animal" as well? 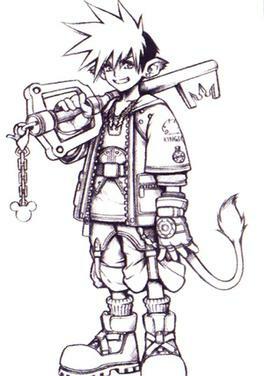 We all know that Sora was going to be a "half-lion, half-human" in the debut Kingdom Hearts installment, right? I've been wondering, if they actually went this direction in the final product, would other KH characters be something similar as well? Kairi could be half-lioness as well. Terra could be half-bear or half-tiger. Aqua could either be half-viper or maybe have parts of a seal or a mermaid to keep with the 'Aqua/water' theme. Ventus could be half-panther or maybe half-eagle to keep with the 'Ventus/wind' theme. Lea could be half-salamander since he's kind of "fire-themed". Master Xehanort! Blimey, he could be a chimera or something of the sort: the wings of a dragon, the tail of a scorpion, the horns of a ram/goat, eagle claws for feet, etc. But those were my ideas so far, what are yours? Please feel free to leave your ideas, thoughts, opinions and reasons in the comments down below. Thank you. If they'd gone with the Lion Sora direction, I doubt that any of those other characters would exist at all. 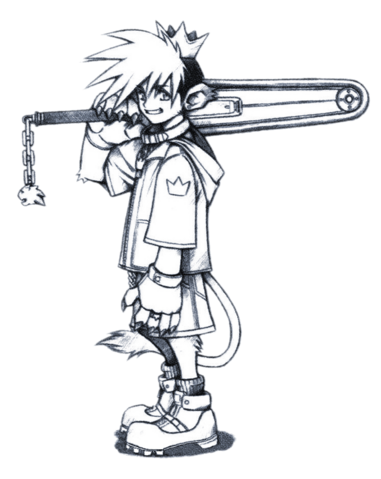 What would eventually become KH was pretty different around that time. Maybe Sora would've been the "special" boy even more in being the only one with animal-traits. Lmfao quote of the year. I cri because no one will understand.